Today, we shall take a quick tour of Ocean Financial Centre in Raffles Place. Ocean Financial Centre, completed in 2011, is located at 10 Collyer Quay, Singapore's Central Business District. It is a 43-storey premium Grade A office development designed by Pelli Clarke Pelli, a renowed architetural firm in the world. It is built on the site of the former Ocean Building, which has since been demolished. Ocean Financial Centre offers approx. 885,000 sf of Grade A office space, with typical floor plates of 20,000 sf to 25,000 sf. It is directly above Raffles Place MRT station and is connected to surronding office developments via an underground pedestrian network. The carpark and retail podium consists of 222 carpark lots and retail space on the ground and basement levels. In the prime Raffles Place location, you have no shortage of amenities. There are lots and lots of restaurants, cafes, retail shops, banks, rooftop bars, hotels, fitness gyms and more. You are also minutes walk away from many affordable food choices i.e. Golden Shoe Food Centre, Boat Quay coffee shops, Clifford Centre basement food court and more. Our favourites? Well, there are too many to name. If you are a new tenant in Raffles Place, take your time to enjoy the various food choices around. Ocean Financial Centre has achieved numerous awards. Some notable awards are Green Mark Platinum award by BCA, Skyrise Greenery Award (Excellence) by National Parks Board, World's Best Commercial High-Rise Development by International Property Awards, Solar Pioneer Award by Singapore Economic Development Board and Energy Market Authority and Platinum Level LEED award by U.S. Green Building Council. Interested to rent an office space in Ocean Financial Centre? Please contact us now at info@officerent.sg. Ok, time to enjoy our photos below. Walking towards Ocean Financial Centre from Raffles Green, you will find O' Coffee Club directly in front of the building. Look up and you will find a prominent green wall on the exterior facade of the podium. 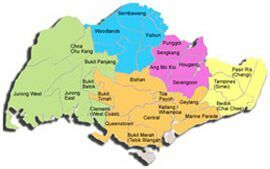 Do you know that you are now looking at the Singapore map? The center and largest part of the green wall is the World Map, and follow by the South-east Asia map on the right facade. This green wall exterior facade has been ceritified as the Largest Vertical Garden by the Guinness World Records as of 13 Sept 2013. If you are into appreciating art pieces, you can view some world class artworks around Ocean Financial Centre. They are free to view. :) Quite amazing that the 3 artworks installed around the development cost a total of $12 million. This Tall Tree and The Eye is created by renowned and recently knighted British artist Anish Kapoor. His intention when creating this artwork is to make objects disappear through the reflecting spheres. Below the giant green wall is the School of Fish which took 10 months to complete. These glass fishes are the creation of Singapore-based Australian artist B. Jane Cowie and it reflects the district's maritime history. Walk with the glass fishes and you will reach a small cafe. Look back at this amazing view from the cafe. After a quick coffee break, let us continue our tour. Next, we reached the sheltered drop-off area. Going around the building, we will see another artwork. It is called Singapore Soul and is made up of words and ideograms in Singapore's four national languages. Do you know which are our 4 national languages? Singapore Soul is created by Catalan artist Jaume Plensa. We proceed into the office lobby. Definitely a great first impression for your visitors. A beautiful Steinway & Sons grand piano currently sits at the corner of the lobby area. Over the past 2 years, office workers have enjoyed beautiful perfomances and melodies by several young artistes on this grand piano. We understand that Keppel Reit has generously donated it to School of the Arts (SOTA) and it will probably be leaving Ocean Financial Centre soon. We then went up to one of the lower floors in the development. Below are some photos of a typical office space in Ocean Financial Centre. Each floor is approx. 20,000 sf to 23,000 sf. Sub-division from 4,600 sf may be considered. Office units come with a 2.8m floor to ceiling height and raised flooring. The full-height windows all around bring in lots of natural lighting. The column-free layout provides efficiency in space planning. Some views from the unit. Wish to see and understand more? You are encouraged to visit the premises in person. 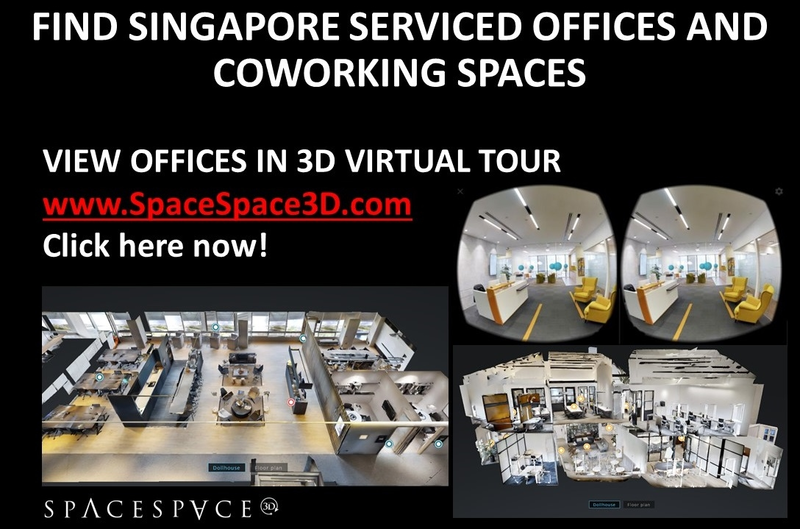 Please contact us here now or email to info@officerent.sg with your office space requirements. Thank you.